After the loss of the 1865 Atlantic cable steps were taken to raise capital for a further attempt to span the Atlantic. 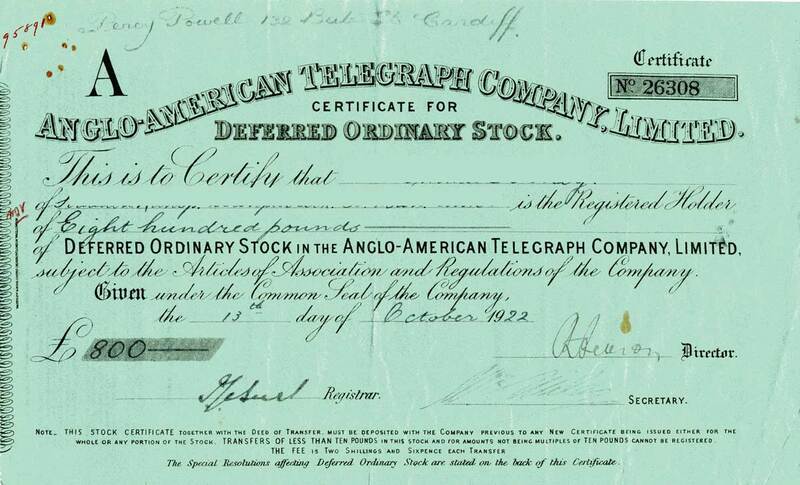 A new company, The Anglo-American Telegraph Company, was set up with a capital of £600,000. 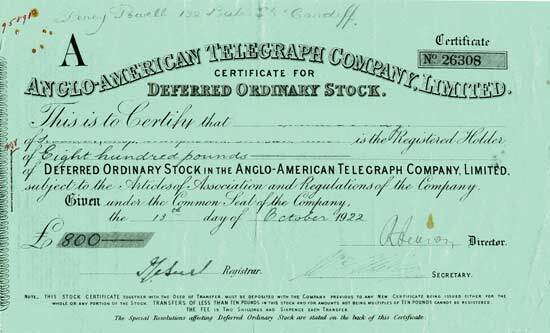 Most of the money was raised in England with the Telegraph Construction and Maintenance Company (Telcon) supplying the cable in return for shares in the new company. 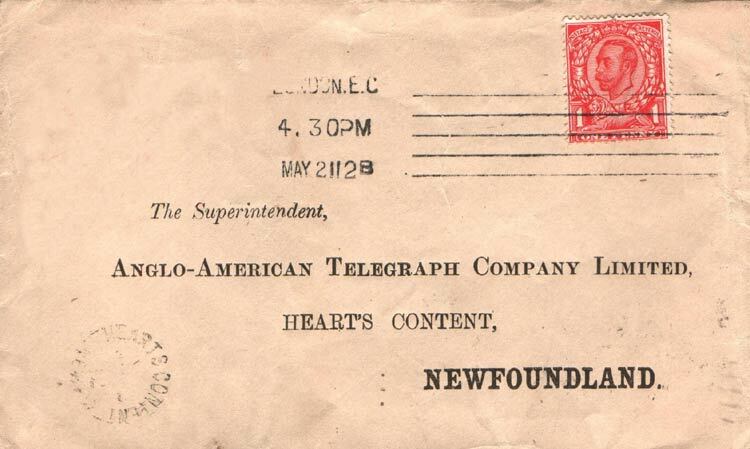 The new company took over the assets of the New York, Newfoundland and London Telegraph Company which owned the cables laid between Newfoundland and Canada and the landline from St. Johns to Cape Ray. CS Great Eastern was used to lay the main cable, with CS William Cory laying the shore ends at Ireland and Newfoundland. 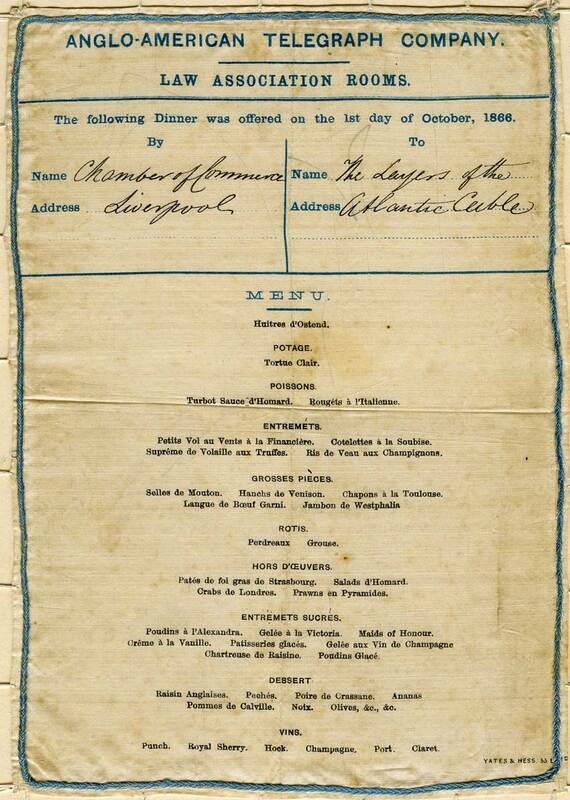 Laying commenced on 13 July 1866 and on the 27th the Great Eastern arrived at Heart’s Content. 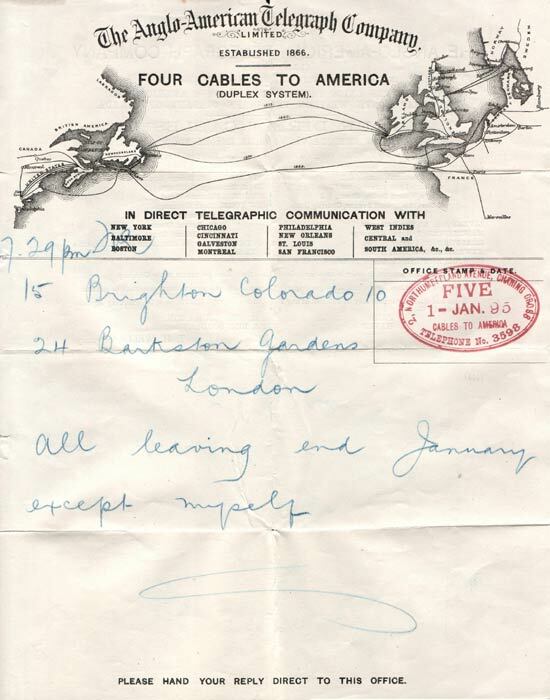 After completing the laying CS Great Eastern set out with CS Albany and CS Medway to recover and complete the lost 1865 cable, which belonged to the Atlantic Telegraph Company. 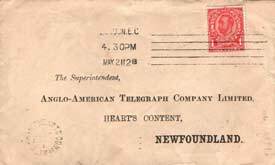 The two companies came to a working agreement until 1873, when the Anglo-American took over the Atlantic Telegraph Company. 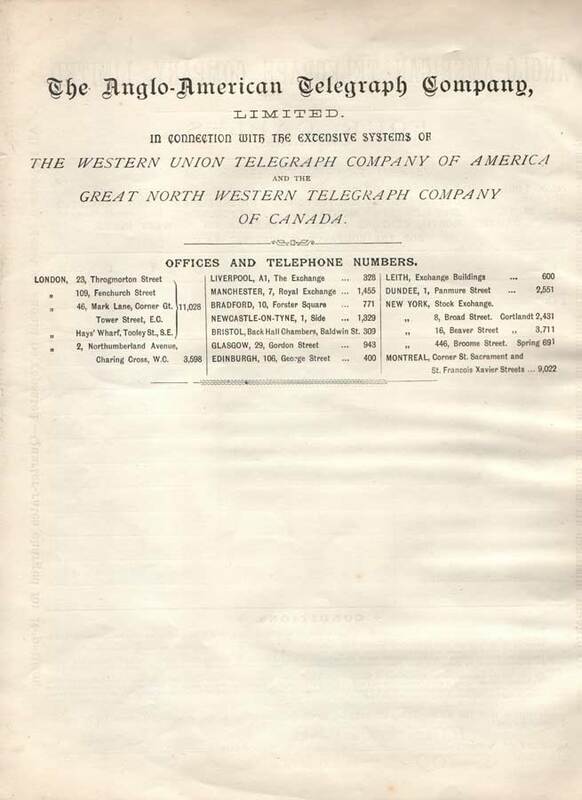 In 1869 CS Great Eastern laid a cable for La Société du Câble Transatlantique Française which ran from Brest to St. Pierre and then on to Cape Cod, Massachusetts. CS’s Hawk, Scanderia, William Cory and Chiltern assisted. 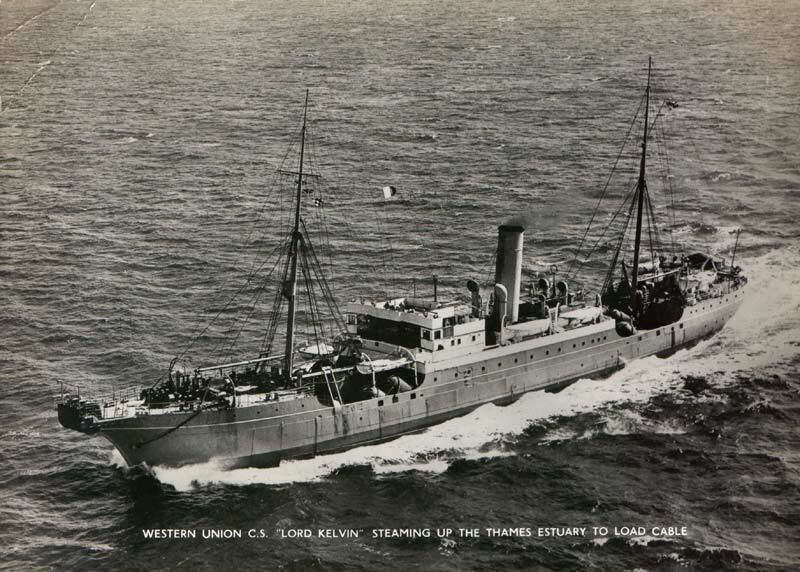 CS’s Scanderia, William Cory and Chiltern laid the cable from Newfoundland to Cape Cod. 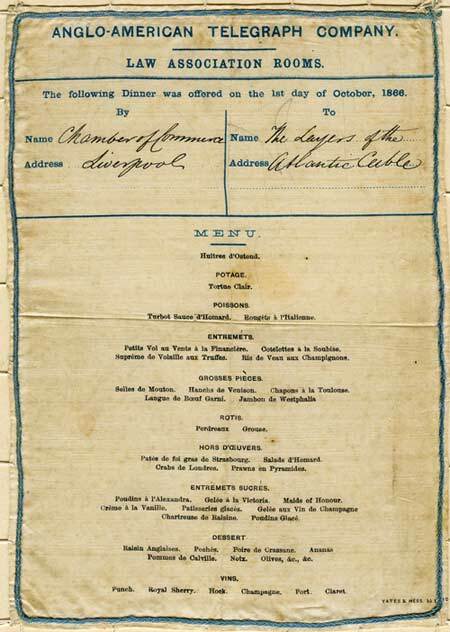 In 1873 Anglo-American took over La Société and the two systems were linked by cables being laid from St. Pierre to Placentia, Newfoundland. St. Pierre - Cape Verton and Cape Breton - Island Cove, Newfoundland. All were manufactured by Telcon and laid by CS Vanessa. 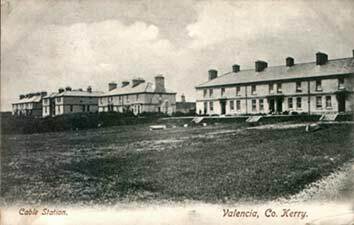 Two further cables were laid for Anglo-American by CS Great Eastern in 1873 and 1874, the route being Hearts Content - Valentia. 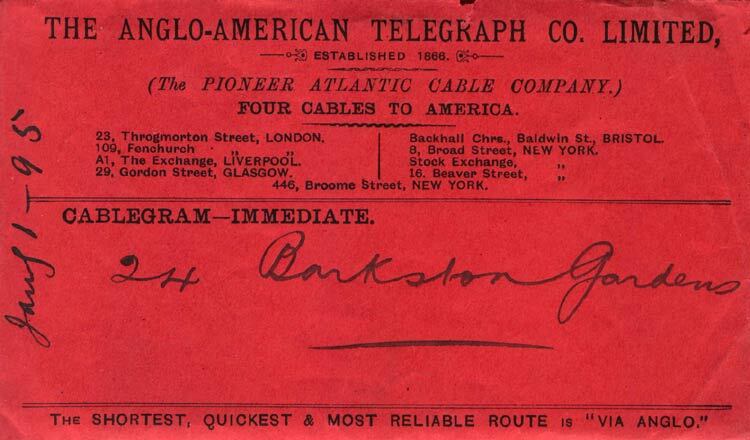 Both cables were manufactured by Telcon. 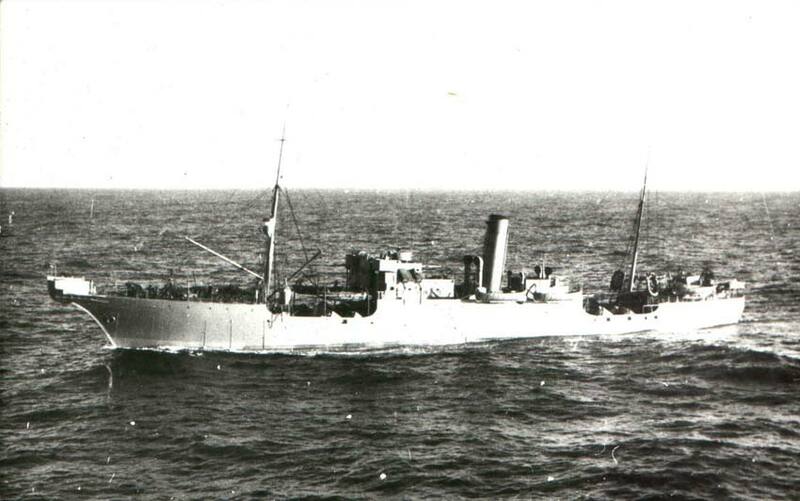 CS Robert Lowe laid the 1873 Newfoundland shore end and CS Minia the 1874. 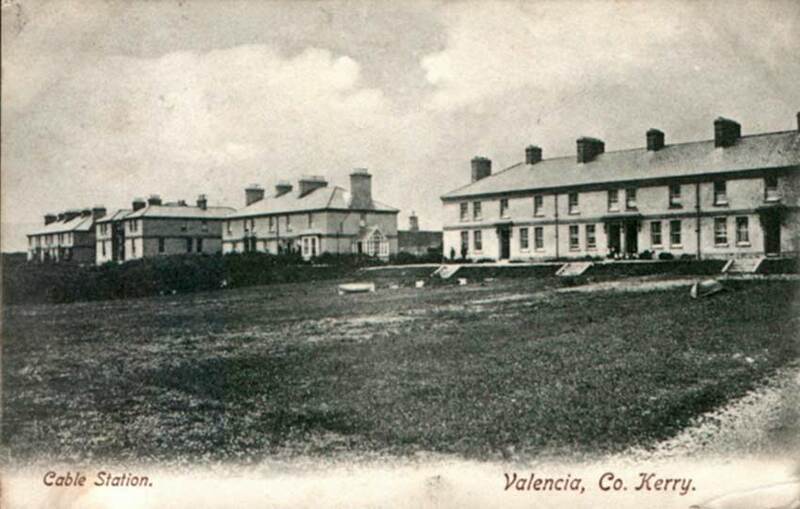 Two more cables were laid, the first in 1894 by CS’s Scotia and Britannia (2) from Hearts Content to Valentia and the second in 1910 by CS’s Colonia and Telconia from Bay Roberts to Porthcurno. All were manufactured by Telcon. 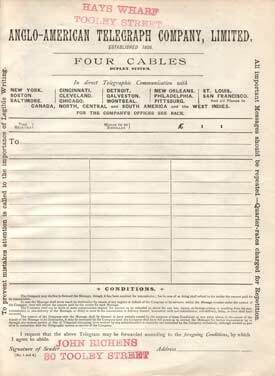 These were the last cables laid for the company prior to the leasing, from 1912, of all its cables by Western Union. 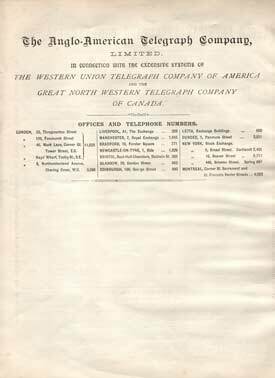 By 1872 the 1866 cable was not working and in 1880 a major part of it was renewed by CS Scotia and CS Seine, who at the same time laid cables North Sydney - St. Pierre and St. Pierre - Bay Roberts. All these cables were manufactured by Telcon. 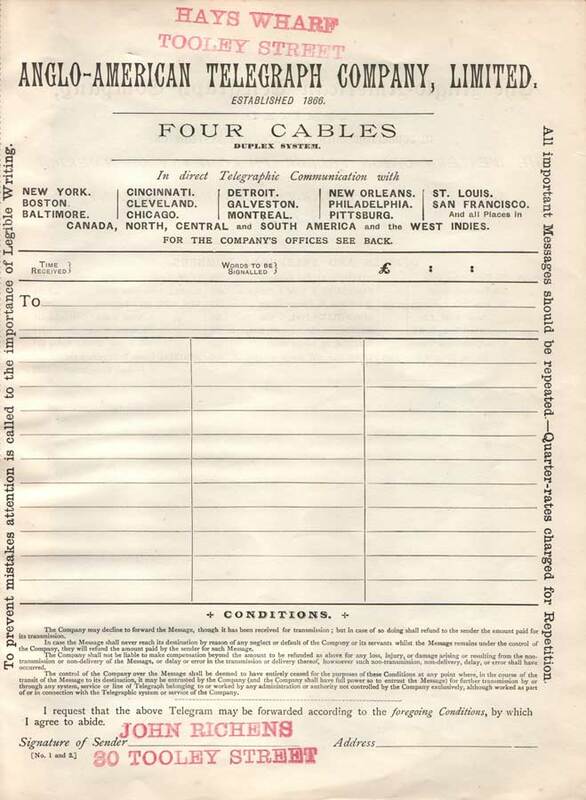 The 1865 cable ceased working in 1877 and the 1866/1880 in 1949; neither cable was repaired. 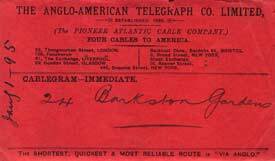 In 1963, when Western Union terminated its agreement with Anglo-American, the 1873, 1874, 1894 and 1910 cables were still operational. Following the termination of the lease Anglo-American was wound up on 10 December 1968. 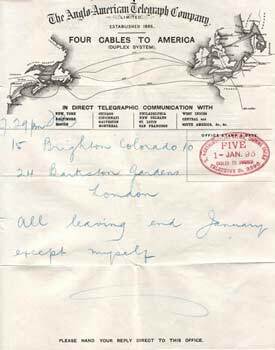 The Smithsonian Institution has the archives of the Anglo-American Telegraph Company from 1866-1947. This 1878 memorandum from Daniell & McGrath, Anglo-American’s agents in Manchester, is addressed to C.P. Scott and notes the cost and terms of Press Messages. Scott was editor and subsequently owner for many years of the Manchester Guardian, then and now one of Britain’s leading newspapers. William Charles Daniell (1820-188?) 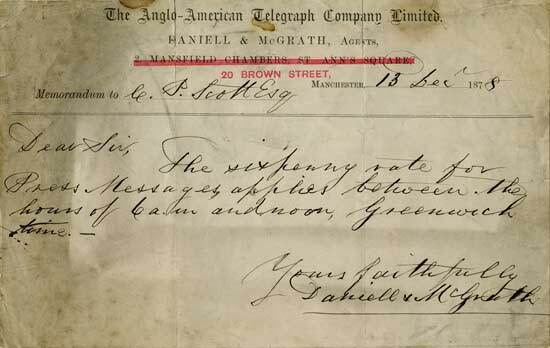 was a Clerk in the British Electric Telegraph Company’s office in the Royal Exchange, London, during 1851, and remained in the telegraph industry for the rest of his career. Built 1870 by Palmers Shipbuilding and Ironworks, Newcastle upon Tyne. The vessel was jointly owned by the Anglo-American and La Société and was used for cable repair work on the Canadian end of the network until wrecked off the Newfoundland Coast in 1873. Built 1866 by London and Glasgow Company, Glasgow. Length 328.5 ft. Breadth 35.8 ft. Depth 25.1 ft. Gross tonnage 2061. Chartered by the Telegraph Construction and Maintenance Company from 1871 to 1874 and fitted out for cable work. 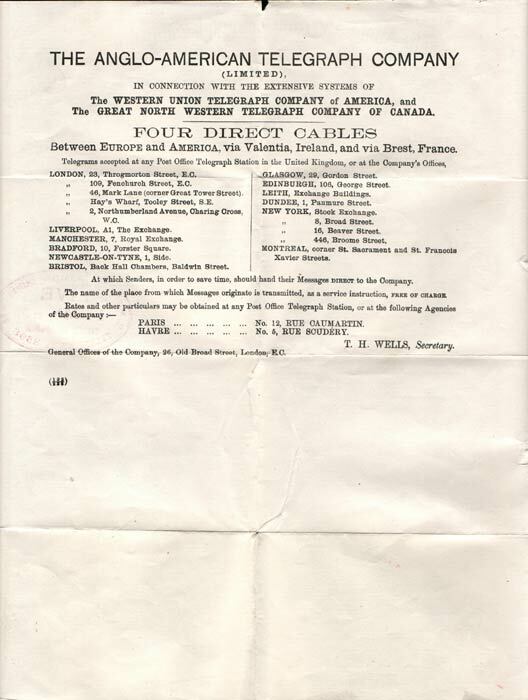 Used by Telcon on the 1871 China cable, West India and Panama cables, the Brazilian Telegraph Company cables and the 1873 Porthcurno - Vigo cable. In 1874 the owners sold the vessel to Anglo-American and it remained in service until 1922 when sold for scrapping. 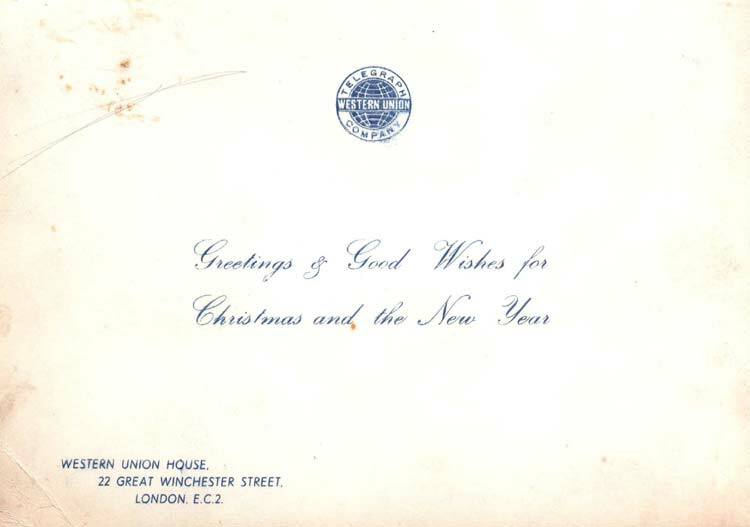 This photograph was used as a Christmas card by Western Union, and the reverse bears a greeting from the company. Built for Anglo-American for cable repair duties, and based at Halifax, Nova Scotia. 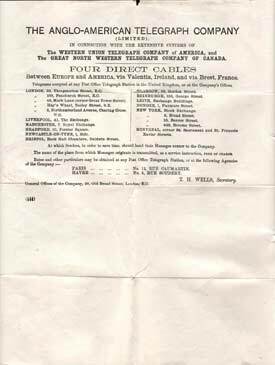 Undertook the laying of the first Permalloy loaded cable, the worlds first submerged telegraph repeater and the first flexible telephone repeater. 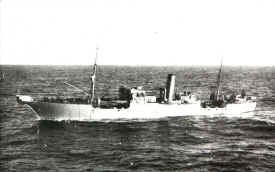 Transferred to Transatlantic Cables Bermuda Ltd. Sold for scrap in 1966.